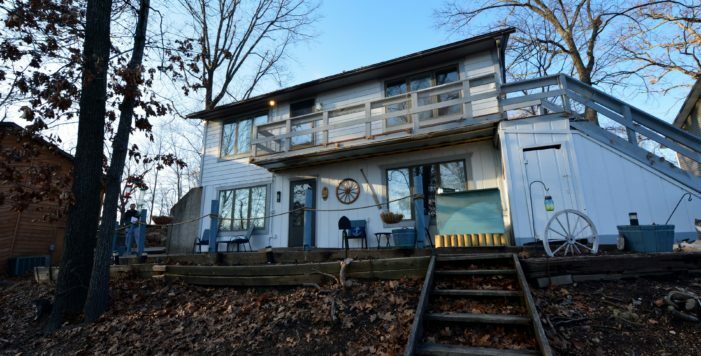 Absolutely Charming lake view home with updates in the kitchen, bathrooms, and paint inside and out. 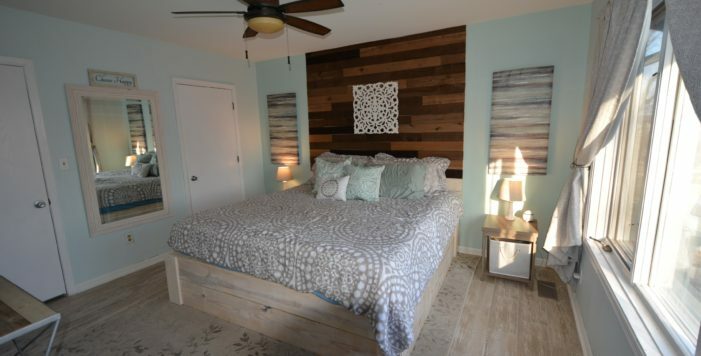 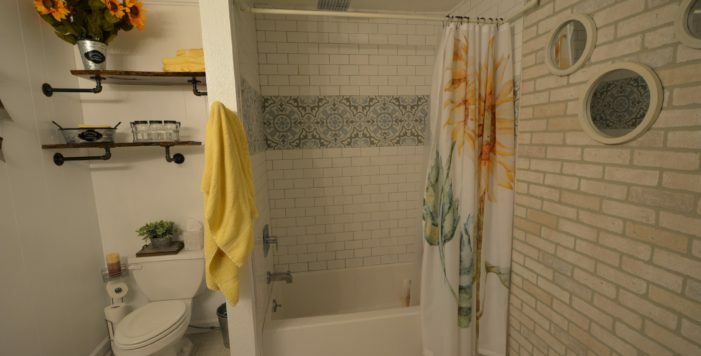 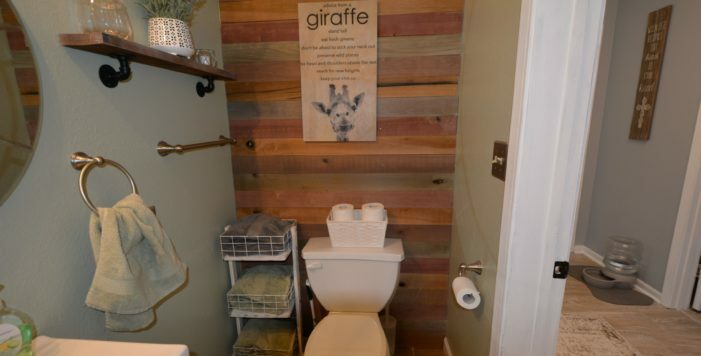 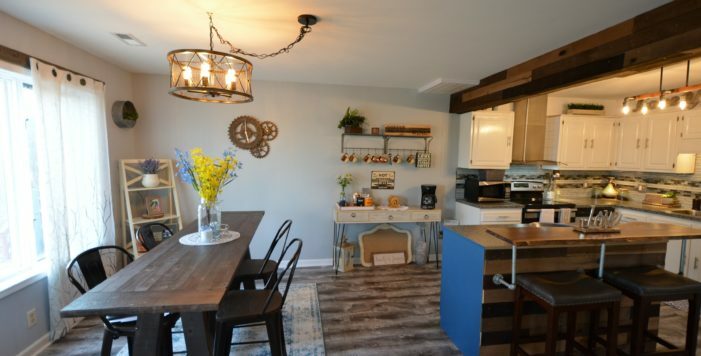 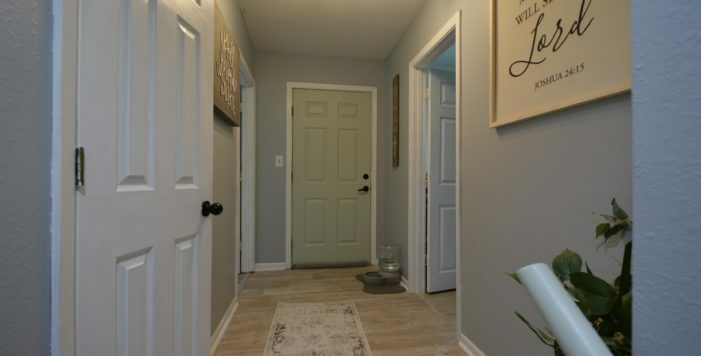 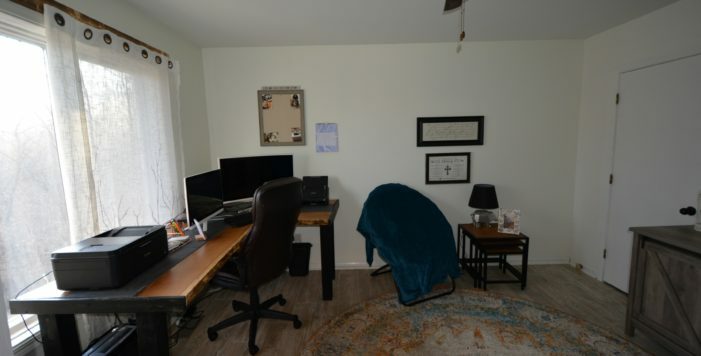 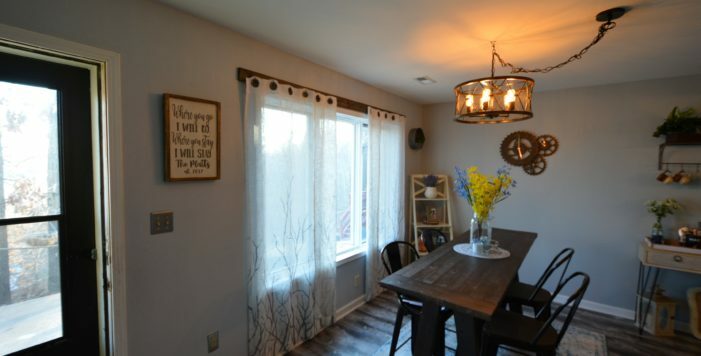 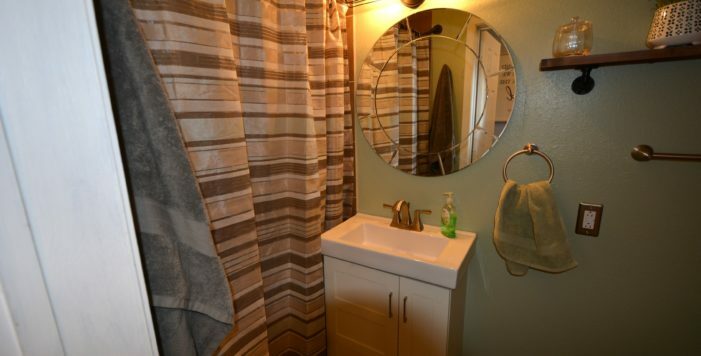 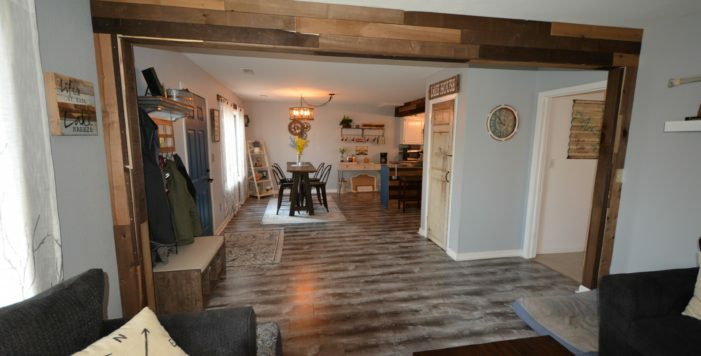 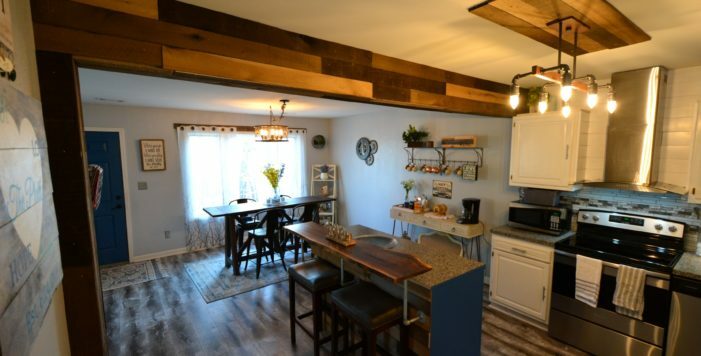 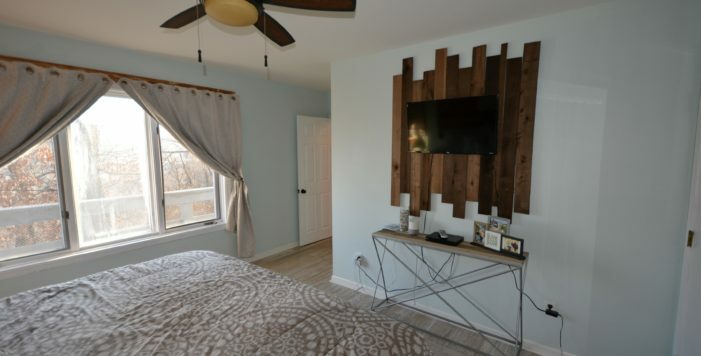 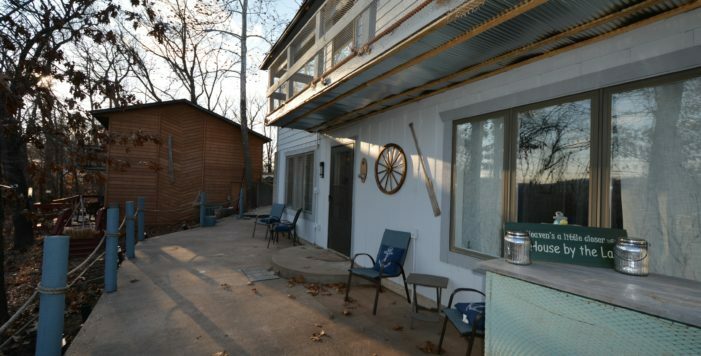 You will love the industrial touches, wood accents, lighting and recently updated flooring. 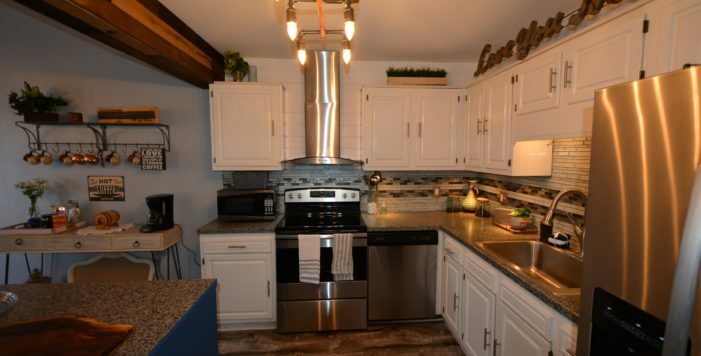 Lower level has open kitchen/dining area with lake views, SS Appliances, tiled backsplash & stylish lighting & SS range hood. 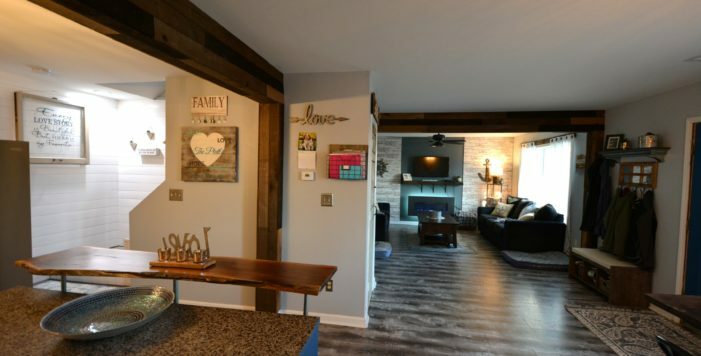 Beautiful color scheme, and designer touches throughout. 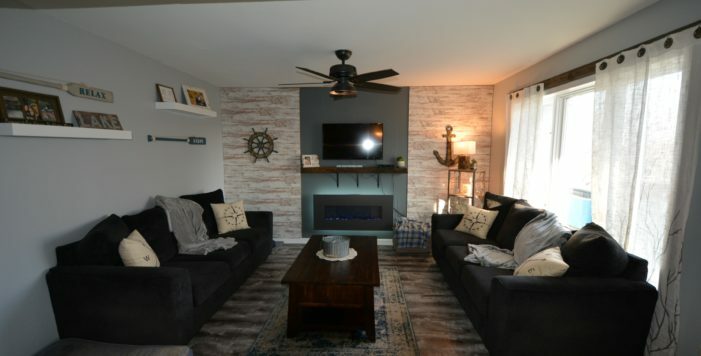 Living room has awesome electric fireplace feature floor to ceiling, with the open floor plan it would be great to entertain friends and family. 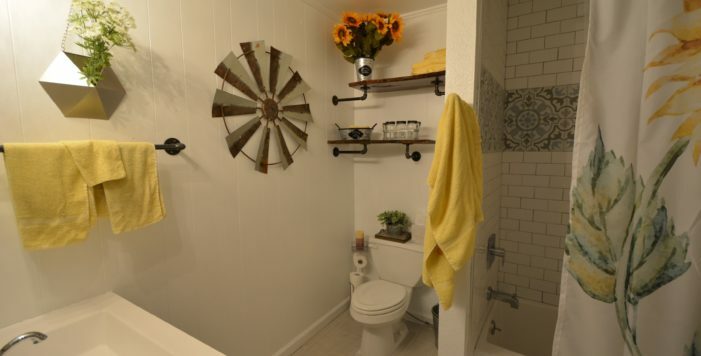 The bathroom has industrial designed wood/iron shelving, tiled shower/bath combo with modern tile accents, newer vanity and lighting. 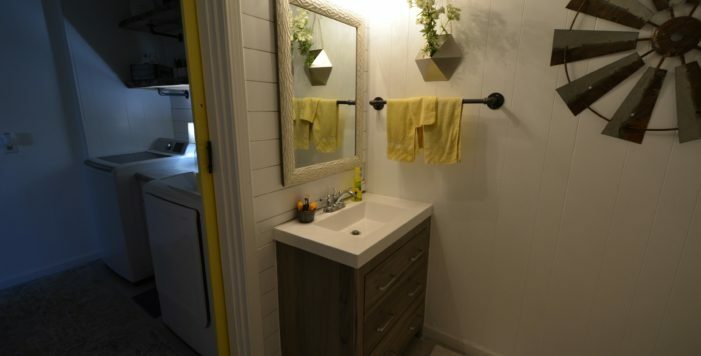 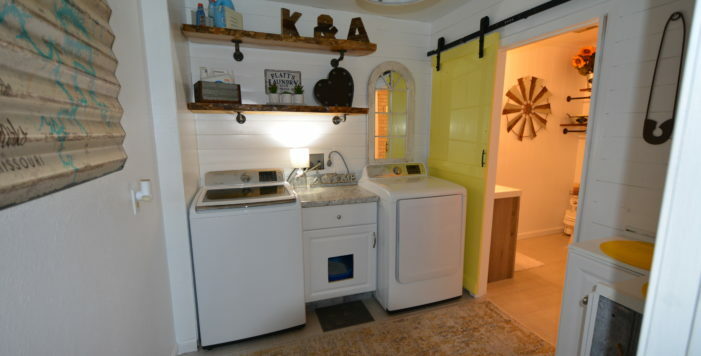 Laundry room has sliding barn door, modern lighting, and built in clothes hanging area, cute & very convenient! 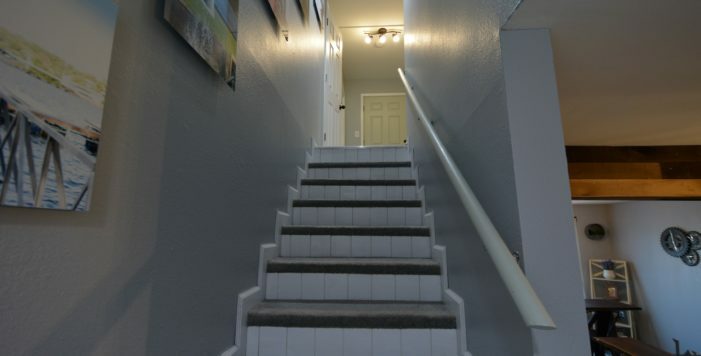 Just 8 stairs up the bedroom level, great master has a walk-thru closet, updated overhead fan & big view window. 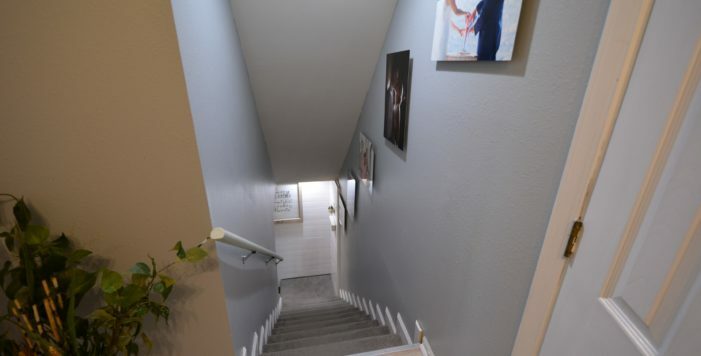 Great separate entrance in the hall to the upper deck, 2nd Bedroom nice sized with lake views and access to 200 SF of storage. 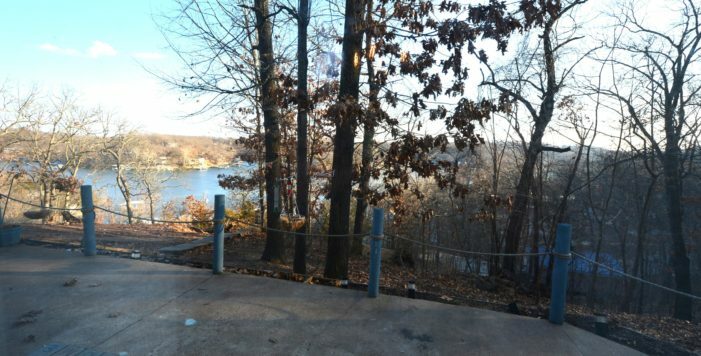 Lake view patio area, big enough to entertain, level parking entrance – enough for 4 cars. 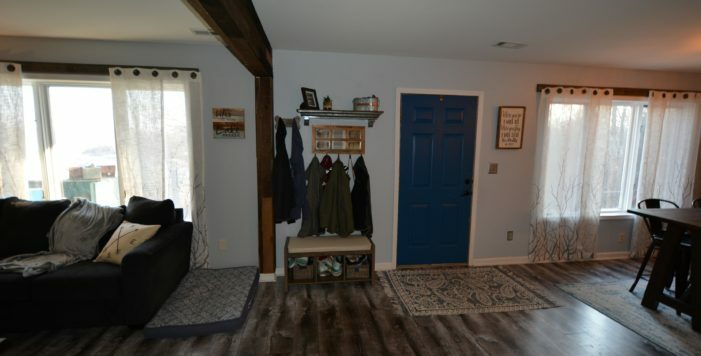 Rare Jewel - don’t miss this one!